ELLSEN is a professional wall traveling jib crane supplier in china, and we supply excellent wall traveling jib crane for you; wall-traveling jib cranes are known as wall traveling crane. 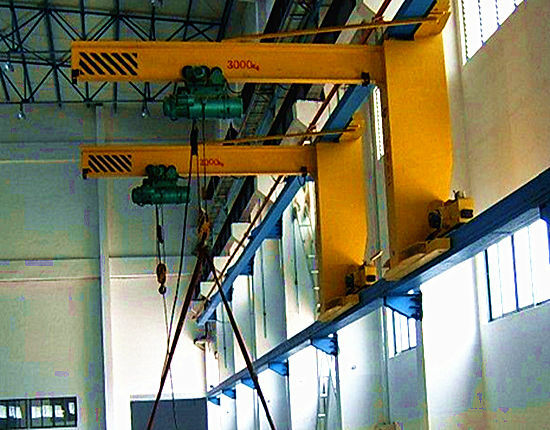 There will be a mechanical track installed on the wall, and the machine is set in the mechanical track, so the machine can move freely along the mechanical track, and the electric hoist installed on the machine will move with the wall traveling cranes, so that the wall traveling jib cranes have wider range of hoisting goods. Because of the advanced design, the machines can be installed quickly and operated easily. The ELLSEN equipment manufacturer can provide excellent service and detailed maintenance for you, and our machines have advantages of good quality and reasonable price. Our machines all have good performance, because we have advanced testing equipment, professional workers and excellent materials to manufacture machines. For testing equipment, we will adjust the wall traveling jib cranes quality in time if the machines are checked with some problems, and only the products that have qualified testing results will be put on sale. For professional workers, our workers have rich experience, they have professional knowledge about manufacturing products and our company encourages them to learn new knowledge, so the workers’ skill of manufacturing products has made great progress, and they can manufacture machines with high quality and good efficiency. 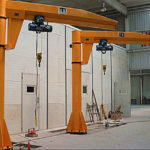 For excellent materials, before manufacturing, choosing materials used for producing is a key step, the quality of raw materials will directly affect the wall traveling cranes quality, so we have made strict standards about selecting raw materials, therefore all materials used for manufacturing cranes are durable. Generally speaking, we have payed more attention about the wall traveling jib crane quality, and we hope we can provide customers with a more perfect using experience. 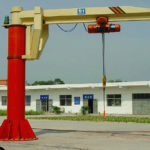 Our products have not only good quality but also reasonable prices, in order to provide more interest for our customers, we try our best to reduce the wall traveling cranes cost. First, we know that if we want to have more competitive price, we should manufacture products on our own, so we have built our factories to manufacture products. Second, we sell our products by our selves, when the products are finished producing, we can sell them directly, and integrating the production and sales is our mode of selling. The machines can be transported directly from our company to our customer, which saves a lot of costs of intermediate transportation, it is convenient for delivering products and it saves a lot for business. Third, in recent years, China’s economy has developed rapidly, and the government has promulgated a series of preferential measures to support domestic enterprises to the world, we have got a lot of help from the government, at the same time we also hope that we can bring these preferential interests to our customers. Wall traveling crane is designed with high automation, and it can free workers from the heavy manual labor, this not only reduces the cost of workers, but also greatly reduces the risk about worker accidents caused by carrying heavy objects. 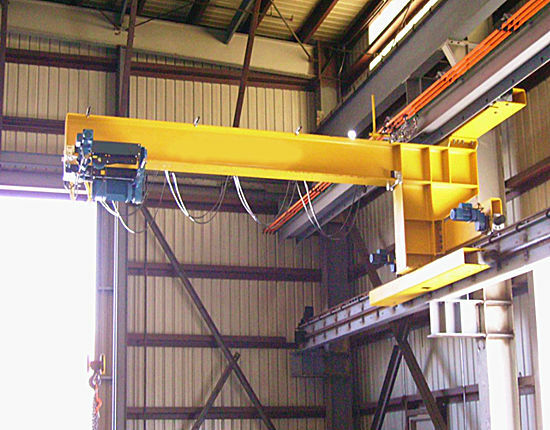 Advantages of wall traveling crane include many specifications and full varieties, no matter what your requirements about lifting weight and height or equipment’s length and other functions are, we can provide you with the best solution. 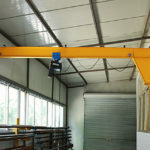 Wall travelling jib cranes installation can be set with some tools which are used commonly, so you can easily install them. It can be used as an independent equipment, and it also can be attached to other mechanical equipment, in addition to the wall traveling crane, we can completely supply electronic hoist and the full electrical accessories, if you need, we also can provide the installation template for you. 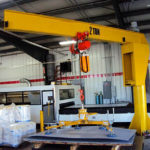 All components of the wall traveling cranes have perfect performance, and our products are durable. The production has high standard, and strict test in order to provide customers with perfect equipment. Using our products will have less trouble about equipment’s failure for our customers, so it can work efficiently for a long time. Our service has already started before you place an order, we can provide you with professional advice, planning and design, according to you request, we can also supply installation service and after-sale service for you, anyway, our service engineer is ready for you. ELLSEN Group is a trustworthy equipment manufacturer, and we have professional engineers and advanced equipment and excellent service. Our products including wall mounted jib crane, wall traveling jib crane, pillar jib crane and swing jib crane have been exported to many countries and areas, such as America, Japan and India, and have received praise from our customers in the world. We can supply detailed installation instructions for our customers, so that users can install the equipment quickly and operate the wall-traveling cranes easily, and if some parts of the equipment go wrong, we can provide maintenance service for you, and carefully help you find the problems, at the same time, we will tell you something about using skills, which can make that the equipment works efficiently with less mistakes. In general, our company ensures products’ stable performance, dependable quality and reasonable cost to satisfy our customers. If you want to know more details about wall traveling jib crane price, welcome to contact us.